LUBBOCK, TX (KCBD) - Any high school student who competes in a University Interscholastic League (UIL) event probably dreams about going to ‘state’ in their chosen activity. It could be in athletics, academics, theater or band. For students in marching band, ‘state’ means walking (marching) onto the field at the Alamodome in San Antonio to prove you are some of the best among thousands of high schools across Texas. This year 17 class 2A high schools statewide were selected, and two of them are from the South Plains - The New Deal Lion Pride band and the Sundown Roughneck Marching Band. 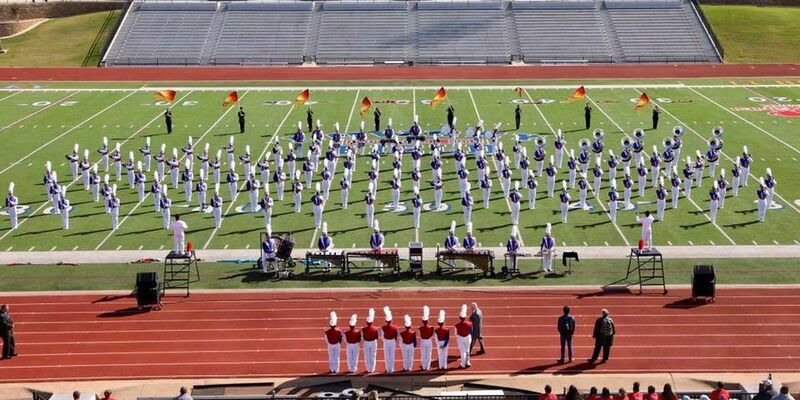 To make it to the state marching competition, both bands performed at their regional UIL contest at Lubbock’s Lowery Field on October 20. They then advanced to ‘Area’ on October 27, with Sundown placing first in the finals and New Deal taking third. Sundown, who has won the state championship seven times, will be making their 23rd appearance at the state marching competition. New Deal will be making their fourth straight appearance, having first made it to San Antonio in 2013. The bands are both going in back-to-back years thanks to UIL realignment that saw classifications switch the years they attend. 2A/4A and 6A bands will perform this year, with 1A/3A and 5A bands making their next attempts at state next year. Both bands will perform on Tuesday, November 6 at the Alamodome. New Deal will march at 8:30 a.m. Sundown will march at 11:00 a.m.
Best of luck to both bands.